Since its inception, the Society for Immunotherapy of Cancer (SITC) has strongly supported the growth and achievement of young investigators in the field of cancer immunotherapy. As the field continues to expand, SITC has realized the even greater importance of fostering the growth and development of the next generation of cancer immunotherapy experts and tumor immunologists by providing them with additional support and opportunities to present their research at the SITC Annual Meeting. This year, SITC offered a total of 32 Young Investigator Awards, all recognizing excellence in novel research and providing early career scientists with the experience necessary for successful careers. Browse other SITC award opportunities. 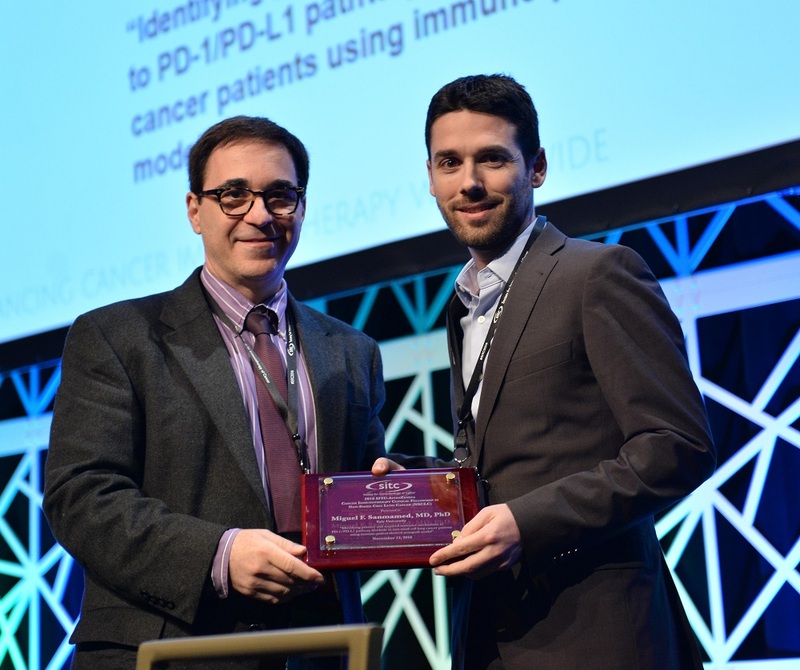 Twenty-eight Abstract Travel Awards were presented by SITC to young investigators who submit an abstract to the society's 32nd Annual Meeting. Abstracts were judged by a committee of SITC leadership and Annual Meeting organizers. Established in 1991, the SITC Presidential Award serves as recognition to the young investigator deemed to have the most outstanding oral abstract presentation at the SITC Annual Meeting. All award recipients were also recognized in the SITC 32nd Annual Meeting Final Program, on meeting signage and with badge ribbons at the conference, and were also featured on the SITC website, in society press releases, social media and other promotional outlets. Be a current SITC member. Categorized as a Student, Postdoctoral Research Fellow, Clinical Fellow, or Junior Faculty (instructor/assistant professor) with three or fewer years on staff (total from all institutions; inclusive of experience in all fields). A letter of support from a lab supervisor is needed stating this categorization as well. Serve as both the primary author and presenting author on the abstract. Meet the determined deadline for abstract submission and indicate that they wish to be considered for an award.